The suit, filed last week by Lance Ott, David Yeager and Steve Baghoomian, alleges Bulbulyan lured them to join his cannabis consultancy, Siva Enterprises, at below-market rates on the false representation that he had raised tens of millions of dollars from investors that included music mogul Quincy Jones. They further charged that Bulbulyan continued to misrepresent Siva’s fortunes, operations, real-estate holdings and MJ licenses after they came aboard in fall 2017. 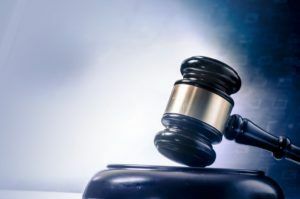 The state suit comes less than two months after Bulbulyan filed a federal lawsuit against the three for allegedly taking proprietary data from Siva, starting a rival company, Cirrata Ventures, and siphoning off clients. The latest suit, filed in Los Angeles County Superior Court, alleges deceit, negligent misrepresentation and unfair competition. It asks for unspecified damages and an injunction against Bulbulyan. Bulbulyan denied the allegations in an email to Marijuana Business Daily. Ott was previously CEO of Washington state-based Guardian Data Systems and a former board member of the National Cannabis Industry Association. Yeager served as a global business analyst for Apple Music and, before that, director of content operations for Beats Music, which was acquired by Apple. Baghoomian, an attorney, is a founding executive at Cirrata. Bulbulyan wrote in an email that the three had “first-hand direct knowledge” that Siva’s project wasn’t funded yet. The days of when a nod and a hand shake sealed a deal and everyone held themselves to the unwritten rule of respect and honesty are gone. what has the Business world done to our utopia?